What Kind of Debris is Gathering in Your Air Ducts? 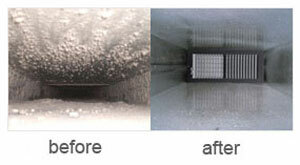 You are here: ServiceMaster DAK > Blog > What Kind of Debris is Gathering in Your Air Ducts? The air duct system is an important component of a home and it is used throughout most of the year either for heating or air conditioning. Normally the air duct system only comes to the mind of a homeowner when it stops working but you should also be aware of its cleanliness. Air ducts consistently gather a variety of dust, dirt, and other airborne debris and this buildup can lower the quality of your indoor air which can have negative health implications as well as decrease the efficiency of the system which can result in higher energy bills. Now some of you may be wondering, what exactly makes up the debris that gathers in HVAC systems? This blog explains the content of the most common types of debris found in dirty air duct systems. It has been estimated that up to 40 pounds of dust per year can gather in the air duct system which may consist of a variety of materials from within and outside your home. The largest component of dust commonly found in air ducts is actually from outside the home according to a study published in the journal Environmental Science and Technology. This debris comprises an estimated 60 percent of household dust and can include airborne particles from outside such as pollen as well as soil tracked in the house. Dust also derives from several indoor sources such as human skin cells and fibers from carpet, furniture, and clothing. The air ducts are a common spot for intrusive animals and insects which can also contribute to dirty air ducts and air pollution. Dead insects and animals feces in the air ducts can make the air that passes through unhealthy and they can also be signs of a larger pest problem. If there are insects or animal feces in your air ducts, you may need to talk to a pest control professional before having your air ducts cleaned. Mold can grow about anywhere in a home under the right conditions including the air ducts. The condensation within the system provides a moisture source which can trigger the spores to develop into mold, and the air that passes through will distribute the mole spores into the breathing air, triggering allergic reactions and possibly spreading the mold growth to other areas. It is important to check your air ducts for mold growth. Do not wait for your air duct system to break down, check it regularly for this type of debris and have your air ducts professionally cleaned when necessary. Making sure your air ducts are clean will contribute to healthier breathing air as well as more efficient heating and cooling for lower energy bills. If your home could benefit from professional air duct cleaning services, contact ServiceMaster DAK to set up an appointment.